The ink hasn’t even dried on the announcement that PokerStars and the Rational Group will be bought by Amaya Gaming Group, and it will still be months before the deal is finalized. But PokerStars and Full Tilt Poker are already seeing plenty of renewed interest in jurisdictions where both have previously struggled to earn licenses. Perhaps the highest profile example of this is in New Jersey. PokerStars has long been fighting an uphill battle in the state, as regulators there were intrigued by the quality of their software and services, but were concerned over the ongoing legal issues between the US government and company executives. That’s why the ability to become licensed in Atlantic City was one of the major benefits Amaya touted in their initial press release announcing the purchase. PokerStars, through the Rational Group, already had a New Jersey partnership in place with Resorts World, which operates the Resorts Casino Hotel in Atlantic City. 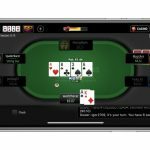 That relationship will remain even with the Amaya takeover, and Resorts says that they plan on using both the PokerStars and Full Tilt brand names if they can get the regulatory approval to do so. 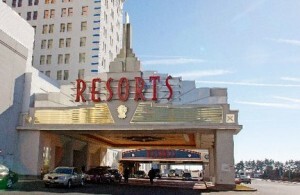 Resorts is already planning on launching their own online casino site in early 2015, and has partnerships with Sportech and NYX Gaming to provide games for such a site. But neither has the reputation or reach of PokerStars, which may be one of the most valuable properties in all of Internet gambling. It’s likely that by then, New Jersey regulators will have given Resorts the approval to partner with PokerStars and Full Tilt. The Division of Gaming Enforcement (DGE) had said that they’d reconsider PokerStars’ application if there were significant changes in leadership, and the sale to Amaya certainly seems to qualify. 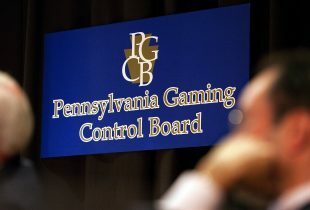 “We are also encouraged by this development and the expanded opportunities it might provide for New Jersey’s Internet gaming industry,” DGE Director David Rebuck told PokerFuse.com in a statement. PokerStars could also find themselves operating in Quebec as well. Amaya is reportedly in discussion with Loto-QuÃ©bec, the licensed and regulated gaming operator in that province. And while those talks are in a very early stage, the PokerStars name could be attractive to Loto-QuÃ©bec considering the disappointing revenues the latter has brought in so far. While PokerStars may not be able to get a license directly under Canadian law, a contractual agreement with Loto-QuÃ©bec to provide services would work around that restriction. That will become much easier thanks to the Amaya purchase, seeing as how the firm is headquartered in Montreal and already has a supplier agreement in place with Loto-QuÃ©bec. That move would be in contrast to the initial fears of many players, who thought PokerStars might have to pull out of the Canadian market because Amaya was based there.